Reps for NBC confirmed to Access Hollywood that Piers Morgan signed a new three-year deal with the network for "America's Got Talent." Piers Morgan has signed a new deal with NBC, allowing the Brit the freedom to negotiate with CNN for the coveted 9 PM "Larry King Live" spot. On Friday, reps for NBC confirmed to Access Hollywood that Piers signed a new three-year deal with the network for "America's Got Talent." Having secured his new schedule with NBC, the British judge is now free to negotiate with CNN, where he's rumored to be moving toward securing a deal for the talk show slot that will replace "Larry King Live" when the veteran television host leaves his permanent show this fall. Reports surfaced earlier this month in both The New York Times and TheWrap.com that the British former tabloid editor was inches away from taking over the 9 PM talk show time slot on CNN. Should Piers secure the CNN slot, he already has the support of his fellow "AGT" judges, including his sometime on-air sparring partner, Howie Mandel. "Piers is a very fine — I don't think that people in America know this — but he's a phenomenal journalist," Howie previously told Access Hollywood of his colleague, who was formerly the editor of both Britain's Mirror newspaper and News of the World. Howie said that Piers, who currently hosts a talk show in the UK, "Piers Morgan's Life Stories," which has featured him sitting down with many notable stars (including fellow "AGT" judge Sharon Osbourne and Simon Cowell, the latter of whom cried on his program), has the right kind of demeanor to host a talk show on CNN. "I've gone to dinner with him and he's very inquisitive, very curious," Howie said. "He's a great moderator." 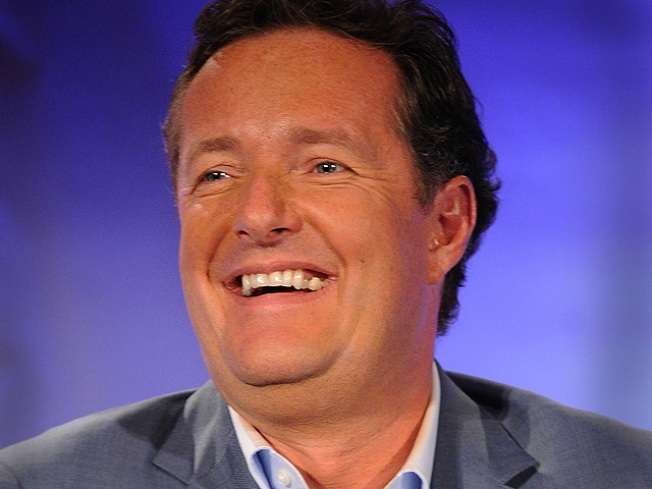 In addition to his lengthy career in journalism, Piers won Season 7 of "The Celebrity Apprentice" in 2008, beating out stars including KISS rocker Gene Simmons and country star Trace Adkins. A rep for Piers had no comment when contacted by Access Hollywood on Friday. PLAY IT NOW: 'America's Got Talent' Stars Line Up To Roast The Hoff!